As with any product or service, the cost of repairing a crankshaft will greatly depend on the region in which you reside. Are there many machine shops around? If so, this competition tends to drive down prices and the consumer realizes lower repair costs. However, if there are few automotive machine shops around, the cost to weld or grind a crankshaft will likely be higher. 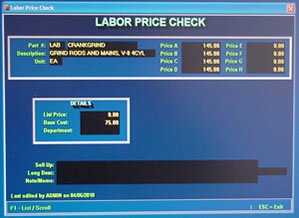 Setting local market conditions aside, which do influence labor costs, let’s look at some of the prices you can expect to pay when taking your crankshaft to an automotive machine shop for repair. This entry was posted in Prices on December 20, 2013 by admin.